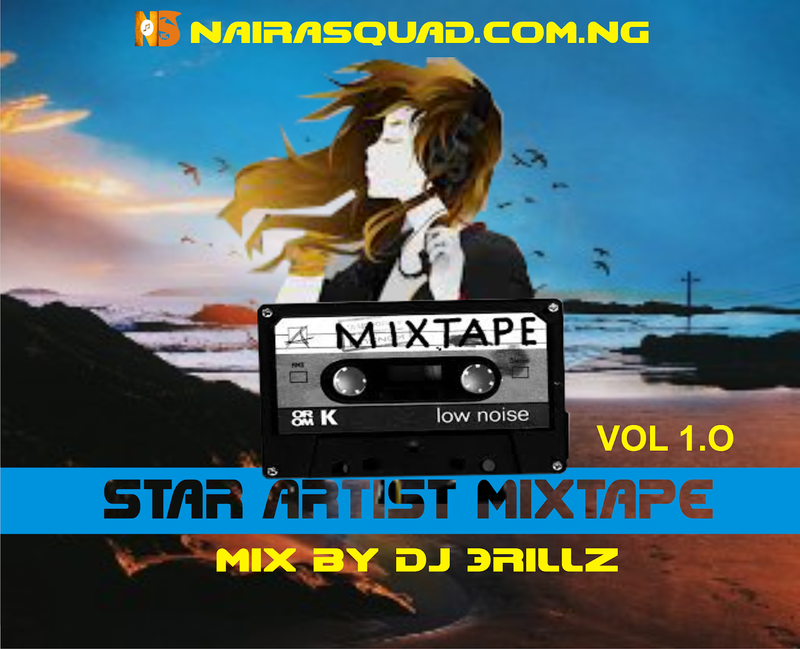 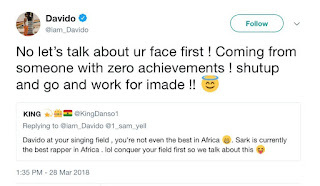 Home / ENT NEWS / GIST / Davido Blast A follower On Twitter For Abusing His Singing Ability. 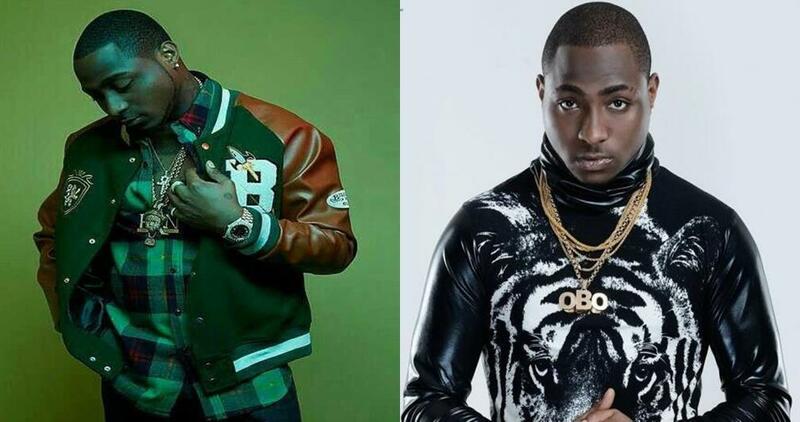 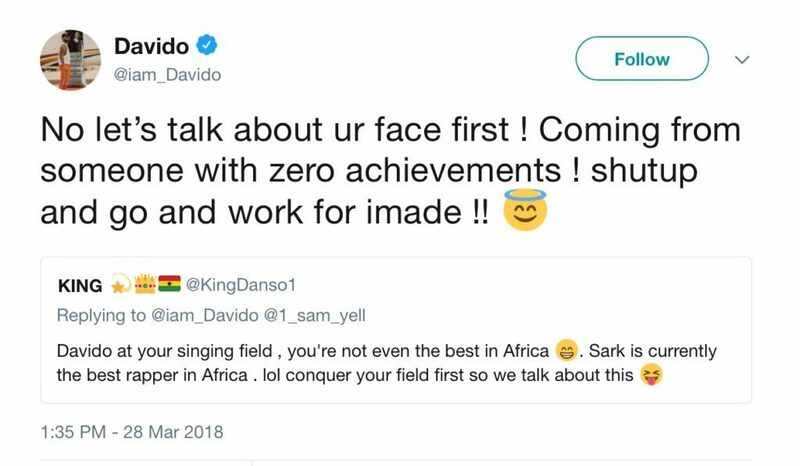 Davido Blast A follower On Twitter For Abusing His Singing Ability. 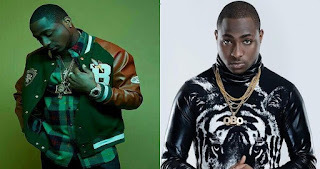 The DMW boss David Adedeji Adeleke, better known by his stage name Davido had earlier taken to his Twitter account to brag about his musics. 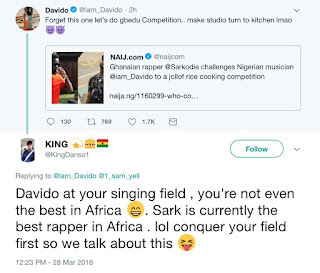 However, a certain follower came forward to make jest of his singing ability. 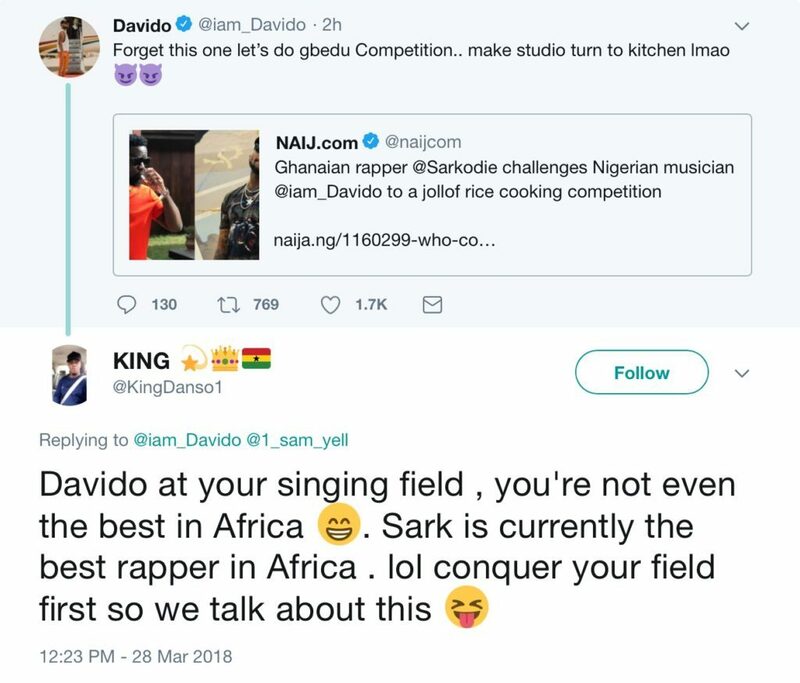 Davido refused to accept the insult but rather took his time to reply the follower who also lectured him on conquering his singing field.